Hello! I am a Registered Nurse who has been practicing for more than 37 years. I am also a Registered Yoga Teacher and have been practicing yoga for many years and teaching it for more than 10. I would like to offer to you, from my heart, what I know as a holistic health coach. I wish to be your Body Window partner. 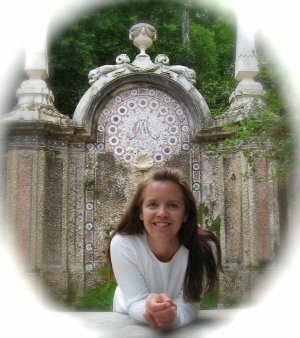 I offer a de-mystified version of holistic health, through a practical way of using your own body to teach you where your body-mind-soul issues lie. If you desire, you can read my own personal story of thyroid cancer and how I navigated the system. I have learned that Western medicine teaches you to believe that health and healing are entirely external to you, requiring only external cures, pills and fixes. I believe this is only part of the truth. I am a holistic nurse who understands the importance of your own intuition, self-experience and self-knowledge. While modern medicine is necessary to heal, it is not all that is required to achieve complete health! You too can learn how to be a better caretaker of your own health and learn how to access your own individual wisdom for complete healing. You only need to believe that you have internally, a great source of intuition you need if you dare to explore your own body’s wisdom, do your own research, and seek the best holistic and integrative practitioners to aid you in your journey. Sometimes we do need others to help us in this journey, but the answers truly are already within us. We ourselves are the only ones who understand our needs and our bodies, if we just learn to listen! How can a healthcare provider truly understand your unique situation if you don’t really know yourself? Can you really expect a 15-minute medical doctor's appointment to address your true being and your total individual needs? Traditional medicine has a long way to go to provide truly personal, integrative healthcare – one that cares for the whole person, body, mind and soul. Medical science recognizes an emotional component to most if not all chronic conditions, yet they lack the time and/or resources to explore this with you! I will teach you how you can integrate your medical or physical issues with your soul issues. You can have health and wholeness if you choose to take the journey. Just choose it and do it! Mind-body techniques are extremely powerful to aid you in your healing. As an RN, I have practiced in various traditional settings - in hospitals, rehab centers, nursing homes and in-home care. I have done hands-on care and administrative work, and have designed and implemented health and wellness programs for employees. I have extensive experience working with the rehabilitation of injured workers through worker's compensation at top-rated hospitals, including National Jewish Health in Denver, Colorado. 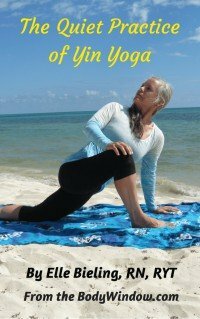 As a yoga teacher, I do only community-based yoga, that is donation-based and that which allows me full flexibility to teach the best yoga I know. It is so much more that practicing poses. Plus I teach yoga through my website and with each and every one of my individual clients! I have over 10 years experience personally coaching individuals who have contacted me through this very website regarding their health-care issues. These issues include injuries, chronic illnesses of all types, soul-issues that impact health such as stress, overworking and lack of self-love and even emotional issues that are felt deeply in the body. I have always known that traditional medicine was not the complete answer to health and healing, but that healing requires soul work as well. I now feel that I am fulfilling my destiny, guiding others in all-encompassing health – one that integrates the body-mind-soul. I am an avid lover of the mountains, and I, along with my husband have climbed the highest 100 peaks in Colorado, called the "Centennial Peaks," that include the 52 peaks above 14,000 feet! Many of these climbs were technical climbs, so I learned to rock climb in my forties! I love the Rocky Mountain wildflowers, and can identify most of them. Being a part of the ‘natural cathedral’ is very important to me in my personal journey towards health and healing. See my outdoor adventures here. I am now also a pilgrimage traveler, fulfilling my physical and spiritual needs through walking ancient pilgrimages, creating a healing community with other pilgrims. My website has been a marvelous avenue for me to share my passion for bringing you tools to create health and healing of your body-mind-soul. The website was no accident but a result of determination, hard work and amazing business-building tools from SBI! If you ever dreamed of owning your own online business, but lacked the knowledge to do it, then SBI is it! If you wish to learn more about how I accomplished this website with no prior web building experience go to my SBI! page.